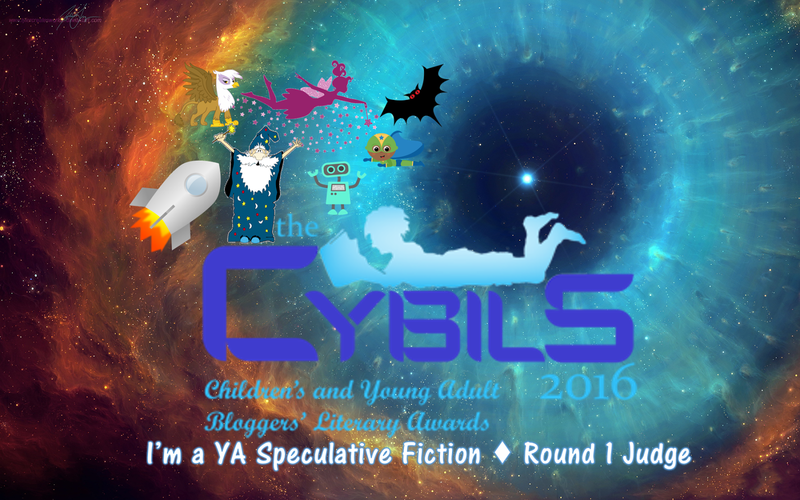 Welcome to the 2016 Cybils Speculative Reader! 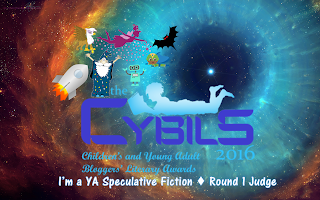 As a first run reader for the Cybils, I'll be briefly introducing you to the books on the list, giving you a mostly unbiased look at some of the plot. This is a Cybils year with an interesting spate of novels with a dystopian social justice/labor/unions bent. RAILHEAD by Philip Reeve examines the rights of the nonhuman. METALTOWN by Kristen Simmons, explores the rights of workers, and then I discovered this novel, which explores differences in class and race... in a fully unique way. Some readers may be scared off by the brown face on the cover, but I know you're all wiser than that. And since this September release hasn't had the buzz the other novels received, you can consider this me buzzing. Synopsis: Akhié Ugiagbe's whole name means "Sorrow," which tells you a lot about her father's state of mind when he named her. Life has included a lot of sorrow, including her father's recent death, and a reversal of fortune for her family as a whole, but once she's out of school on Seraffa, Kia, as she calls herself now, will do her best to use her quirky gift for languages to carve out a good life for herself. Part of doing what she can at sixteen is taking an under-the-table job translating at a sketchy casino joint... only to find herself witnessing her older sister, trying to gamble their family out of debt, gambling herself into indentured servitude - for three long years in the Salarian mines where people routinely DIE. Never mind that Kia will lose her scholarship at University of Translators and Interpreters, never mind what she promised the Order of Universal Benevolence, who are paying her scholarship: family sticks together. Except it seems the Adepts and the religious folk are leveling the field, for once. Kia's been asked by them to go to the Salarian desert to ...translate for her Adept-in-training friend, Agatha. Though they got close when they both spent time in Malem, Kia thinks it's a terrible idea to send Agatha - Agatha is kind of a disaster as an Adept, whimsically curious one moment, by-the-book the next; determined and unpredictably undisciplined by O.U.D. standards. Agatha can't speak a straight sentence of the Salarian language, and the Salarians are the most easily offended race on the planet, literally. And then she hears about her disguise, and Kia is even more skeptical. The O.U.D. 's going to send her to Salaria white face? They're going to medically kill off her melanin so she can pass as a Salarian, some Adept's dead daughter??? Not going to happen. Stubborn, cagey, yet determined to save her sister, Kia makes compromises, tells lies, deceives herself, and gets dragged along against her will. Once she's in Salaraia, she's already in over her head immediately. And then, the real fun begins. Is wanting to help someone enough? Or do you need Divine Guidance - a lot of luck - and foreknowledge of everyone's agenda? Kia's about to find out. Observations: The desert dwellers are the lightest-skinned, fairest-haired, poorest folk in Saaria, initially not choosing the desert by choice, but by necessity as squatters. Salarian's culture is matriarchal, and the money is passed from mother to daughter... so that men have no wealth, little say, and cannot leave their homes and families without permission. 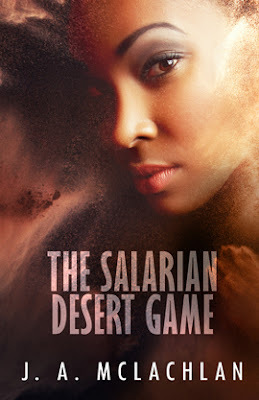 On both Saffare and Salaria, teens are expected to pull some of their own weight - whether from attending school and preparing for the job market with seriousness, as Kia is doing, or participating in the Salarian Desert Game, which allegedly makes women out of girls. The worldbuilding provides a lot of fascinating compare-and-contrast with our contemporary world, and examines ideas of rights of classes, races, and eternities. Kia is characterized as stubborn and self-determined, bullheaded, regardless of how easy it would be to do what's expected of her by so many people. The issues with which Kia contends on Salaria, as she feels pinched between the faith she barely ascribes to asks of her, what political expediency demands and what her heart wants are also thorny and difficult, never giving the reader an easy answer of "which direction is right?" This is a novel full of deep thoughts and conviction, and will be enjoyed by teens who don't mind a bit of mulling-it-over to go along with their fast-paced adventure. There's a tiny helping of a believable, mutual attraction, but no time for romance for Kia, as there's a lot of stuff going on, including people who may or may not be trying to kill her. Conclusion: I love these covers, and the cover model's brow game is strong! Readers will encounter mention of the city of Malem in this nove as a place where something nearly disastrous had happened - and may wonder if they will ever find out exactly what. 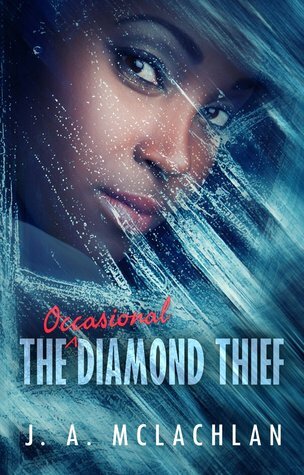 FYI: Kia has another book, THE OCCASIONAL DIAMOND THIEF, which was her first adventure with Agatha! I'm excited to know this, and from this way this novel ends, I'm convinced that the author isn't finished with this character or her world yet. I received my copy of this book courtesy of the publisher via Cybils. You can find THE SALARIAN DESERT GAME by J.A. McLachlan at an online e-tailer, or at a real life, independent bookstore near you!